Finley Peter Dunne is credited with the words above. I have a feeling this direction will be in the minds of more than a few politicos a year or so from now. That’s because Monday night, John Horgan entered the race to lead the BC New Democratic Party. I’ve exchanged views with John on a number of occasions and remain impressed with his broad knowledge of public issues and, perhaps more importantly, his indignation about unprincipled and incompetent management of public affairs in British Columbia. John is not dogmatic; he knows that politics, practiced well, is the art of the possible. Thus, he believes that varied interests of a modern economy and social order can be harmonized. I suspect the economy will be job one but it will be managed with regard for more than the immediate moment. Horgan will improve democratic functions in BC, starting in the Legislature where citizen’s representatives are largely ignored and underused. John’s reluctance to commit to a leadership race before now was understandable. He’s been sitting as an MLA for almost nine years and worked in administrative support positions before winning election. With almost four years before the next election, successful leadership means a time commitment of at least eight, perhaps 12 years. Being at the stage of life that is usually most productive, I suspect John wanted to gain absolute certainty about the right course. Monday’s announcement probably has little to do with other candidates committed or considering. Instead, it is all about one man deciding he’s truly ready to commence more meaningful work. 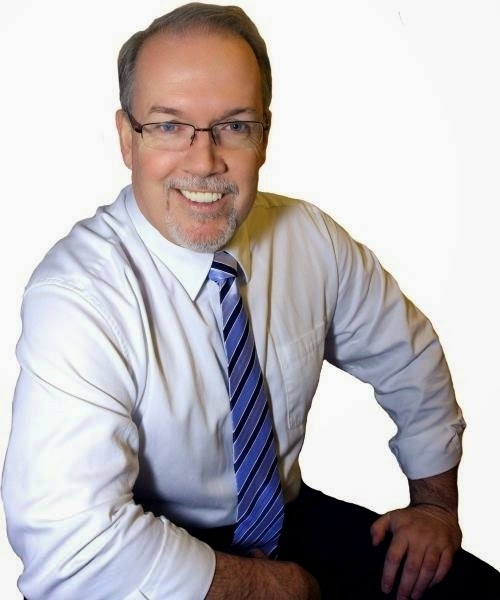 It’s my opinion that John Horgan has the knowledge, judgment and fortitude to succeed. He will afflict interests that have become extravagantly comfortable. I'm wondering what his position is on IPPs, Site C, LNG export, coal mining, Northern Gateway? Sad news for the NDP; if Farnsworth wins, they will loose the next two elections. There is just too much taint from the Harcourt/Clark era; Dix learned the hard way and the NDP had better learn this lesson or face defeat. “There is still time brother”, let's hope so. Finally, some hope. Inexpressibly relieved. John Horgan, a populist for the people. Nice quote, fine tribute Norm. John Horgan excused himself from a second run at NDP leadership to encourage 'new blood' to refresh and reinvigorate a party which, ever since Corky Evans conceded to Ujjal Dosanjh, seems to have gradually taught itself satisfaction in perpetual Opposition. He re-enters now to address one of the consequences of a string of “positive campaign” disappointments: a dearth of young party members to take up that challenge. Last year's catastrophe includes not only giving BC Liberal kleptocracy a newer, bigger licence and allowing the Greens their first parliamentary vantage, it must also admit to the real and important need to reconnect with younger voters. This will be one of his biggest challenges should he become leader, as I hope he will. If Dix had understood the election was over,and stepped aside for an interim leader there would have been a clear signal that the time for renewal had begun. A missed opportunity. Nevertheless, Horgan shows formidable leadership qualities and has shown he will call out Liberal shills like Andrew Weaver. This will be interesting. Will there be a real detailed examination of what Horgan wants to do, or is this just another “atta boy” soft hand on the shoulder support? It will be interesting to see who supports Horgan and who supports Farnworth, the old traditional Labour and the West Boradway at Burrard Kitsilano Green crowd. Time to get into the decisiveness and positioning of the two. It's quite obvious of Norm's leanings so here's friendly territory to explore. Excused himself? (Out then in)? Hardly. It's all in the timing and power. No one runs for the leadership without power and influence close behind. This was timed. He waited until the time was right. My fear is? How much of BC will there be left to govern by the time, we get the Campbell/Clark BC Liberals, out of office? We know the BC Liberals are, Harper's satellite party. I am very happy to hear Horgan is running. However, I am sorry for whoever has to clean up the horrendous mess, the Campbell/Clark BC Liberals will leave. The BC citizens have always had two monsters to battle. Harper and the BC Liberals. Believe you me? Horgan will also have to battle both Harper and the BC Liberals. And, non of them have and honor, decency, ethics nor morals, what-so-ever. They will use every dirty tactic in the book, to win both the Federal and the BC Provincial elections. The Reform accomplished this federally and by capturing the name conservative gave the appearance of change at a time when the federal liberals were stumbling badly…. The Socreds were relegated to the trash heap of political history in BC and the decaying remains took over the liberal name and the populace bought into the appearance of change once again…..
And we have the results again. What has the NDP accomplished on this file? Have they given any BC’er something to consider regarding the appearance of change? No. It is the same old Jamesite crowd with another face and name as possible leader. Still trying to sell 1930’s ideals to 1990’s yuppies…. Come up with something new; forma coalition with another party so that the public “sees a more moderate stance and positioning” from the NDP. Because the NDP allows the other side to define who and what they are. Why does the NDP not understand marketing.….. Otherwise the result will be the same. Guaranteed. Horgan as leader would be the only way I'll ever vote NDP again (and I've voted NDP the last three elections). Hopefully at the leadership convention there won't be any candidates that turn up with a whack of instant new members and the accompanying membership fees in questionable circumstances while the party brass looks the other way. The last time it was pulled it didn't work out too well, while to my mind bringing the NDP down to the ethical level of the people they and we hoped to be replaced. I voted NDP last time while holding my nose after that stunt was pulled by focusing on the outstanding local candidate and not the leadership shenanigans. As much as I want Horgan to win and then win again in the provincial election I will not bother voting for anyone least of all the NDP if the leadership race is another sleazy affair. The BC Liberals are not Harper's satellite Party. There are many federal Liberals there, including Christy Clark who has never been anything except federal Liberal and provincial Liberal. BC had two monsters to battle? So how is it that BC elected a majority of Conservative MPs and a majority of BC Liberal MLAs? The NDP uses every tactic in the book to try and just get noticed. Horgan will also have to battle the divisions in the NDP if he ends up as Leader. Agreed. Another example is the Labour Party in the UK. They moderated themselves and won elections afterwards. Tony Blair was smart enough to moderate the Labour Party and was Prime Minister for 10 years. The BC NDP needs to get away from the 1930's blue collar management hating environment and adapt to today's thinking, with a touch of eco-friendly positioning. The NDP also needs to realize jobs in the private sector mean resource jobs, jobs for the union boys and girls. Yesterday evening, I went to hear Horgan speak to a friendly audience in Prince George. The guy is obviously a pro, (mostly) in the best sense of the word. Those weary of the serial kleptocracy in Victoria may take hope from someone who is fast on his feet, passionate about the province, and impressively on top of many complex policy files. He was most effective when speaking directly about his family background, the value of community, and the role that public education had in bringing him to his present role. On Northern Gateway, he affirmed that he supported the party's position that it was a bad idea. On Kinder-Morgan, he displayed carefully calibrated ambiguity, skating pretty close to disingenuousness. In his view, this project was different, because it involved an existing right-of-way. This will be news to the Lower Mainland residents who were visited by K-M's land agents recently. And he implied that this pipeline expansion was connected with the refinery in Burnaby, overlooking that its huge capacity is designed primarily for export markets. He did concede that it was going to be a tough sell, and he acknowledged the strong opposition led by Mayors Corrigan and Robertson. Another questioner asked him about Site C. Although he eventually acknowledged that the party opposed it, he characterized the project much more positively, though he stated that his enthusiasm has diminished with each successive visit to the flooding zone. He conceded that there was a genuine concern for impacts on the ALR, although he trotted out the weak excuse that the land was being used only for low value crops. (Shame! That gives me flashbacks to the wave of Socred ALR golf courses during the '80s. Who's going to invest heavily in farming land within a Hydro flood reserve?) He concluded that this discussion was hypothetical because BC currently has a power surplus. Nobody in this friendly audience called him on any of his weaker points. Whether this will hold up in other settings, remains to be seen. But for the purposes of his northern campaign launch, he and his supporters must have been pleased with themselves. They obviously felt confident that he could extol the value of resource extraction without being closely questioned on what this means in practice. My take? I think he is mostly not an evil man. I'm not trying to be snide or damning-with-faint-praise. Clearly, he would be a huge improvement on the current Premier, and is probably the best of the likely replacements. But my reservations come from his display of where the NDP still needs to do a lot of work. There's no genuine recognition that climate change radically undermines the traditional social democratic dodge: economic growth as an escape from distributional conflicts on a finite planet. In fairness, it's probably asking a bit much of a mainstream politician to expect openness and creativity about acknowledging contradictions that few others have addressed honestly. But there are just so many obvious connections begging to be made between climate change and the fate of rural resource-dependent communities. What about the aquaculture workers on Vancouver Island recently laid off due to ocean acidification? Although the pine beetle disaster was mentioned last night, nobody pointed out that the sawmill workers displaced by shrinking timber supplies are just as much victims of climate change. And, amid the party's contortions over the Port Metro Vancouver coal export expansion, no elected New Democrat has noted the obvious irony: as sea levels rise, the first places to flood will be the adjacent communities of Richmond and Delta. No matter who leads the NDP, these contradictions aren't going away. And, unlike before 2013, the Green Party's legislative beachhead means that the NDP can't assume that they are the default option for voters concerned about the environmental impact of natural resource policies. Did anyone actually get into a bit of interrogative questioning to him? That's what these meetings are for, for the membership to ask good hard questions deserving of an answer. If there is no precise answer, get one, or say to him “either answer my question or I go to someone else”. The NDP has a lot more serious problems to contend with than just issues of convenience such as Climate Change. The NDP isn't going to affect much if any on climate change. What the NDP does on that should they become government is not going to reverse it nor affect it on a global scale. Sounds like more of a “this guy's okay” meeting. So where's the decisiveness in that meeting? Did anyone actually get into the hard questioning that the meeting should have? Obviously not.